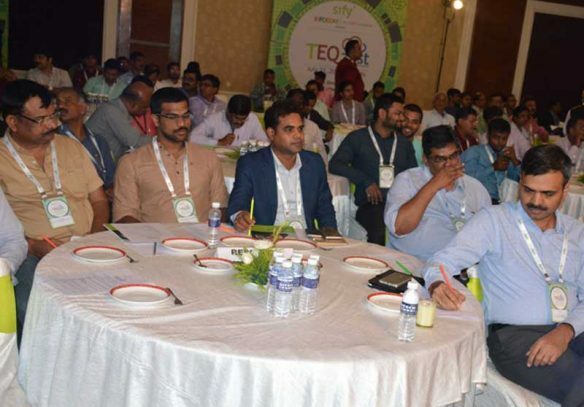 Sify TEQzest, an elite and exhaustive evening program was hosted for the CIOs & CXOs from Ranchi & Rest of East o 21st July at The Chanakya BNR, Ranchi. 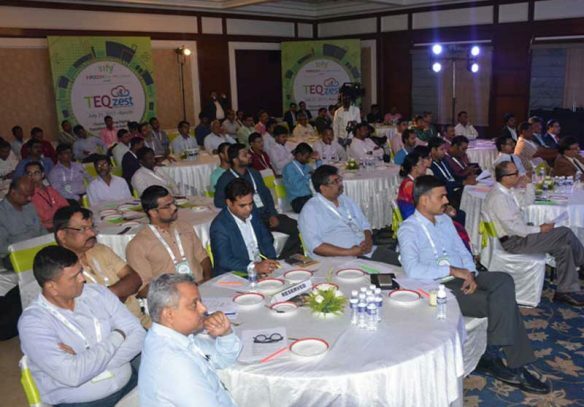 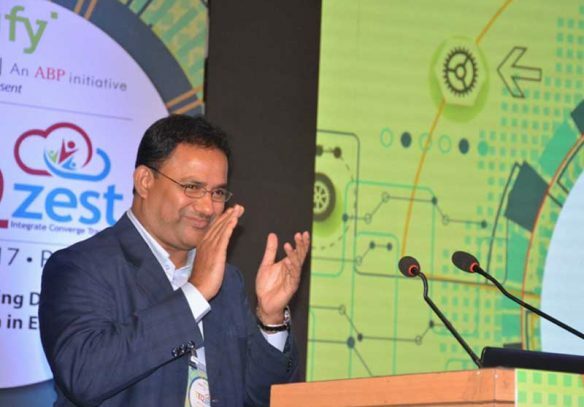 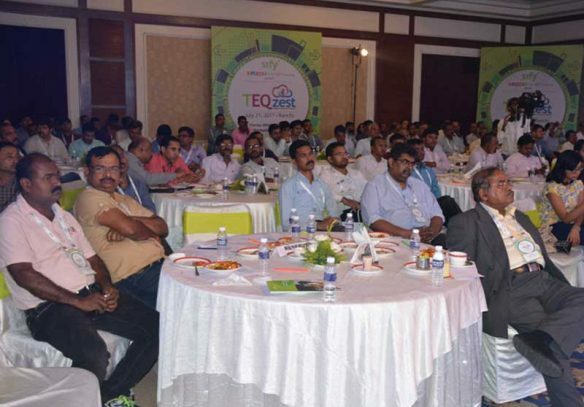 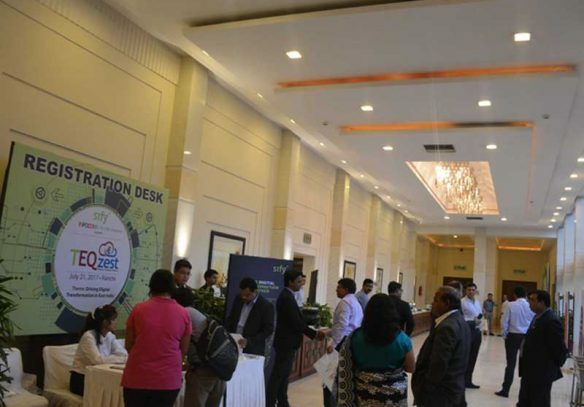 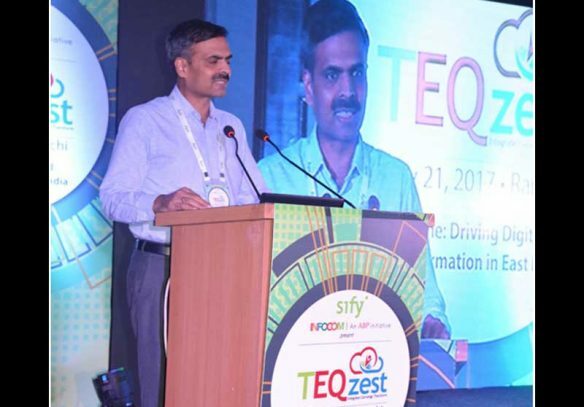 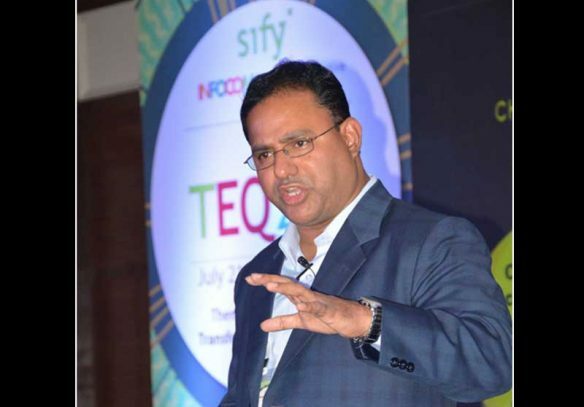 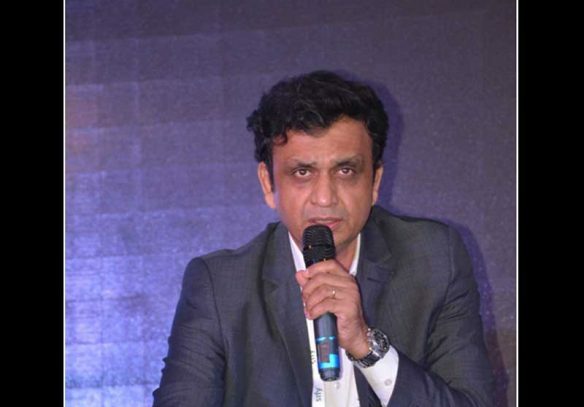 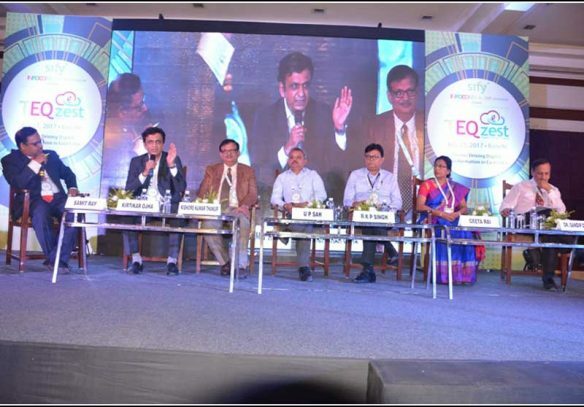 TEQzest aimed to focus on how businesses can be made agile through digital integration and convergence leading to transformation with the theme of 'Driving Digital Transformation in East India'. 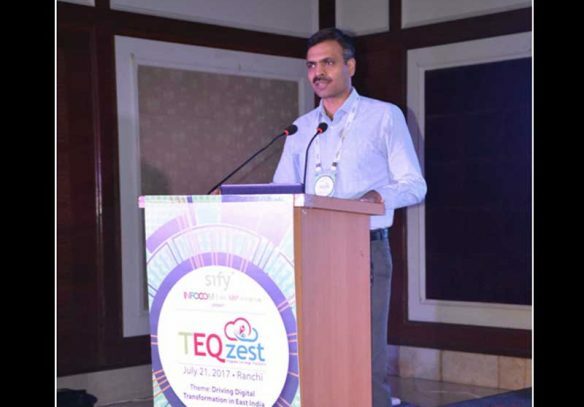 The event started with a keynote address on 'Digital Transformation Strategy in Ranchi and East India' by Guest of Honour Satendra Singh, IAS, Secretary, Department of IT & e-Governance, Government of Jharkhand. 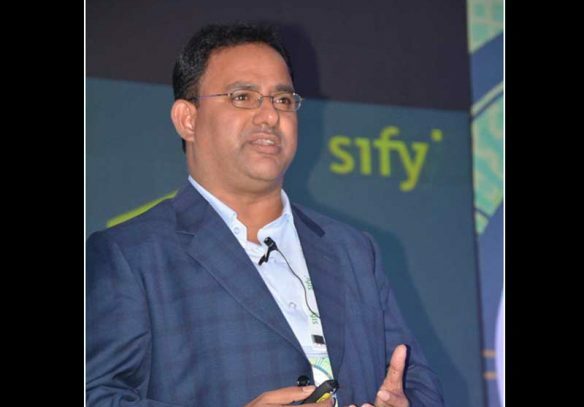 Following the keynote, Nihar Chakraborty, Senior Vice President & CoO - East and SAARC countries, Sify Technologies made the presentation on 'Role of ICT Service Provider in the digital transformation journey'. 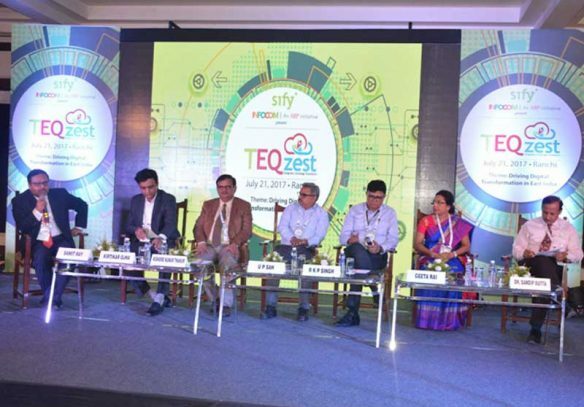 The evening concluded with a CIO power panel discussion based on the theme of the event 'Integrate. 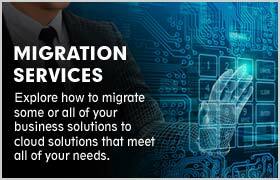 Converge. 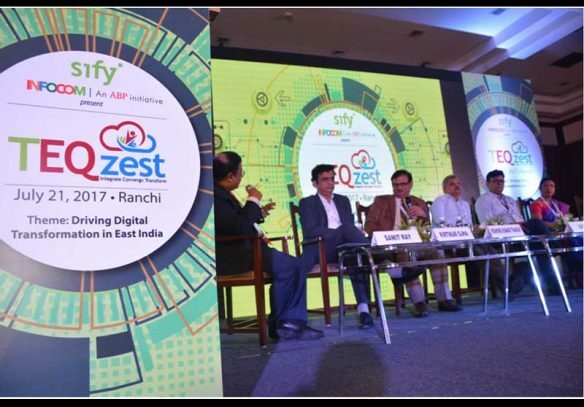 Transform - The new mantra for success' comprising technology leaders and policymakers from various enterprise and Govt. 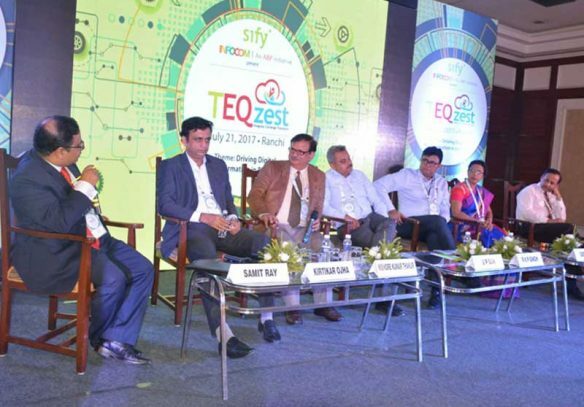 organizations who deliberated and discussed on driving through disruptive technologies. 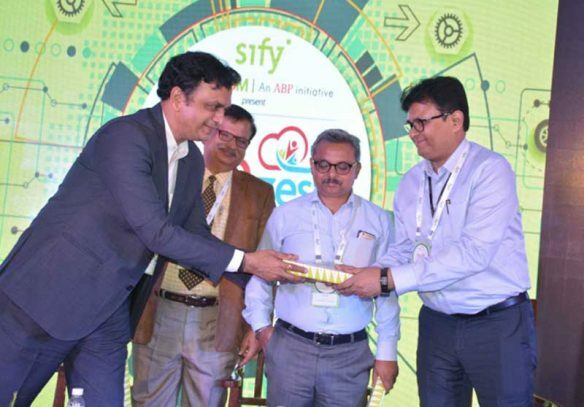 Sify got an opportunity to showcase its digital transformation proposition to prospect customers in Healthcare & Education verticals and PSU & Govt. 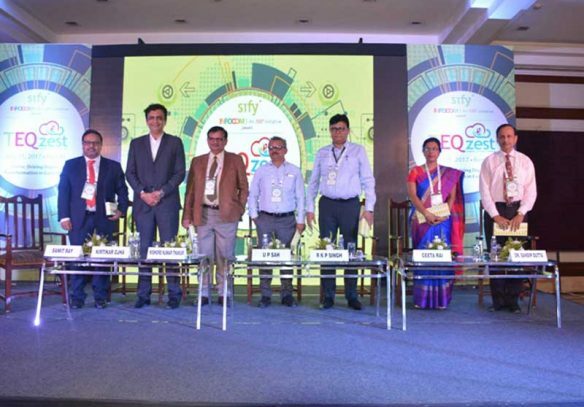 sector in Ranchi. 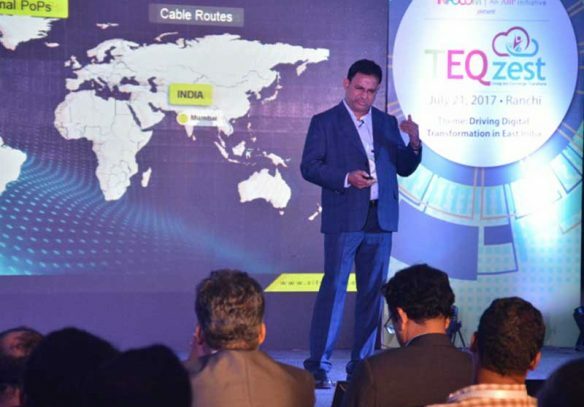 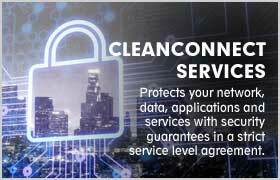 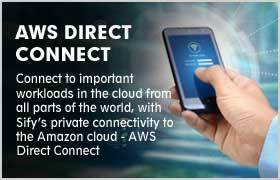 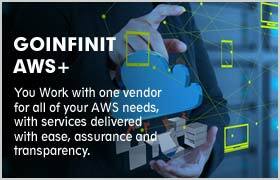 Apart from the ICT story, we were able to highlight our iTest, Telecom, Application and Cloud capabilities. 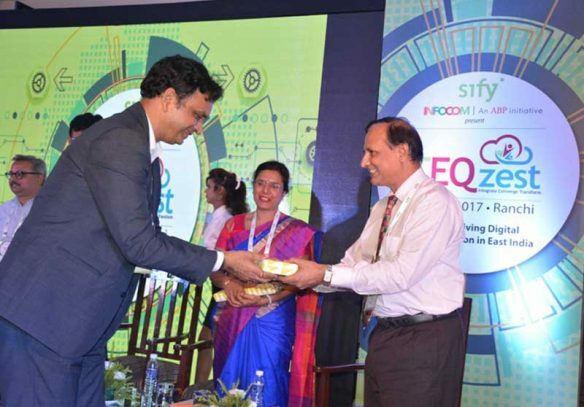 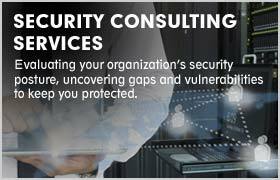 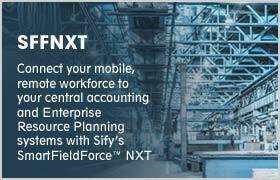 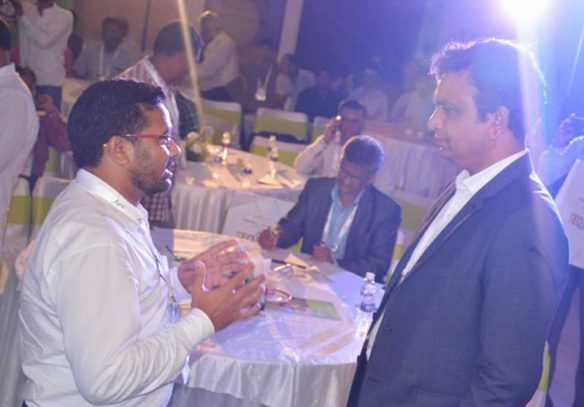 Sify engaged in business led dialogues with over 70 CXOs.